Full color pieces with background done for trade, commission or as personal art. I've been a furry artist for a number of years now and work mostly in traditional media. My preferred tools are bristol paper, copic sketch markers, derwent pencils and micron pens. I will do digital work as well sometimes, though it does take me longer. I'm open for commissions, and trades both and will occasionally take requests. I haven't decided yet if I should sell prints or not, but if I get enough interest in them I may. 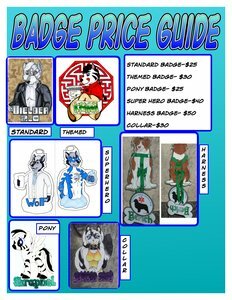 All my commission policies and prices can be found on my FA page, or drop me a PM or email if you have questions. I do all I can to be friendly and accommodating to others (but not a door mat), so don't be afraid to drop me a line with if you have a question for me. HUGS YOU! I read your journal. Feel free to contact me. I'm here.